Whether you’re brand new to the wonderful world of adult colouring or a competent artist, Creative Colouring Course will transform your skill and enjoyment of this therapeutic pastime by leading you on a stimulating journey from beginner, to accomplished colourist. Through this first-of-its-kind training programme we will arm you with skills that will not only electrify your adult colouring books, but will enable you to create your own unique, intricate illustrations and assemble spectacular pieces of artwork with the ‘wow’ factor that will amaze your friends and family! Creative Colouring Course is the product of many years of work and experience, all condensed into 12 comprehensive, yet easy-to-follow video training modules. Our experienced colouring tutor will guide you, step-by-step, through the basics of adult colouring, from the correct tools and effective techniques you can use to invigorate your colouring pieces, to composing sketches, working with fine line pen and ink, through to more advanced textural techniques, elaborate patterns, composition, contrasting colours, colour temperature, blended backgrounds, collage, professional displays and much more. As you work through the modules, you will rediscover your natural creativity and develop your own artistic style. You will evolve and learn sophisticated colouring methods and processes such as pointillism, hatching, controlled scribble, shading, blending, burnishing – to name but a few. You’ll discover how to create mesmerising collages and artwork, full of detail and texture. You’ll learn how to evoke an emotional connection through your colouring. As you progress through the course, you’ll learn how to use your colouring skills to craft your own greetings cards and exclusive gifts that you can present to family and friends, or even sell commercially. We’ll even reveal the secrets of how to effectively present your work to galleries. Finally, we’ll show you how to build a portfolio and showcase your work like an expert. No more half-finished pages of colouring or unused colouring books. It’s time to unleash your newfound colouring talent! The world is your oyster when you’re armed with the skills you’ll learn from Creative Colouring Course. 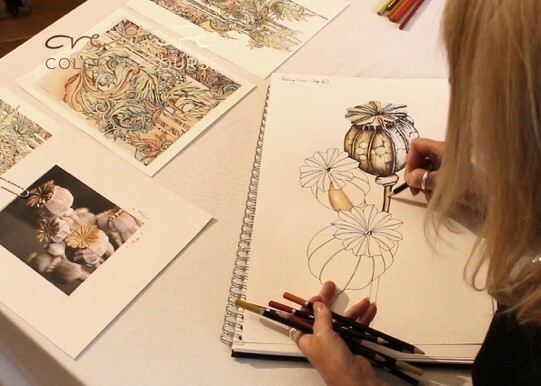 And that’s what this course gives you, the know-how, ideas and inspiration to create beautiful, stylish and elaborate artwork and colouring designs that you can utilise for all manner of media. From wall art to wallpaper to gift cards to gift wrap and more. Like some of our students, you can even use these skills to create your own adult colouring books. You are limited only by your imagination. At the end of the course you’ll be awarded with an authentic pass certificate. It’s an achievement you’ll be justifiably proud of and one that will not only enhance your enjoyment and the satisfaction you get from colouring, but one that could even enhance your career prospects. Be amazed as you watch yourself progress, have fun and produce some of the most beautiful images of your life. Who knows? With a little practise and commitment, you too could one day be creating pieces of art that artists like ours charge more than £1,500 a time for. Extensive Training - World-class adult colouring and creative training modules, delivered instantly by professional instructor and artist. Private Community - Chat with thousands of fellow adult colouring enthusiasts worldwide. Creative Colouring Course does more than just teach you a few colouring tricks. 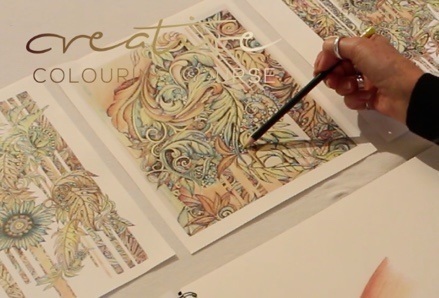 It’s a unique and packed course that can truly change your life by taking your love, enjoyment and satisfaction of adult colouring onto a whole new level while giving you the skills you need to become a true colouring artist with the ability to create jaw-dropping works of art.